We’ve all had those days where we just want something quick, easy and filling for dinner. 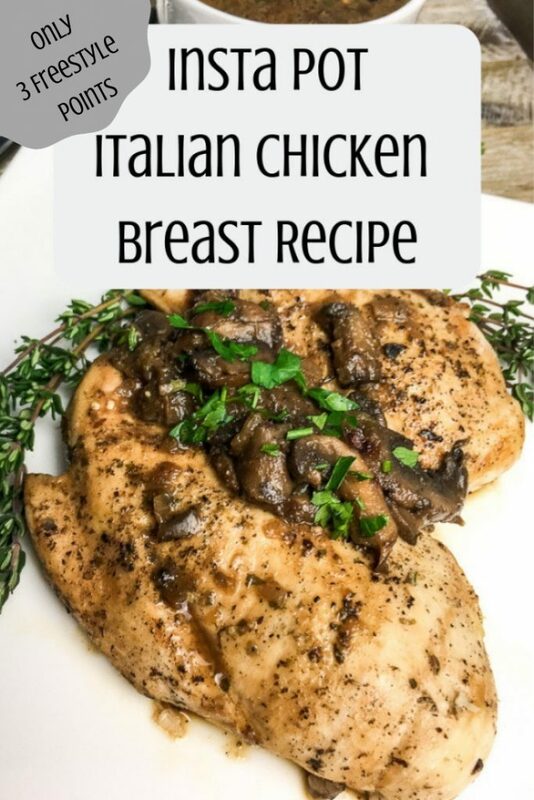 This Italian Chicken Breasts Recipe fits the bill. Pair this with a pile of roasted veggies and you have a low Weight Watchers Freestyle points meal that is satisfying and delicious. Add 1/2 tablespoon olive oil to Instant Pot® and select the Sauté function. Set to high and once the display reads “hot,” add red onion and Portobello mushrooms. Cook, stirring frequently until onions soften and mushrooms start to release their liquid, approximately 5-6 minutes. Transfer veggies to a bowl and set aside. Add another 1/2 tablespoon olive oil to unit and season chicken breasts with salt and black pepper on both sides. Working in batches, if necessary, add chicken to the Instant Pot® without overcrowding. Brown on both sides, approximately 2-3 minutes per side. Remove browned chicken from unit and repeat process with remaining olive oil and chicken breasts, as needed. 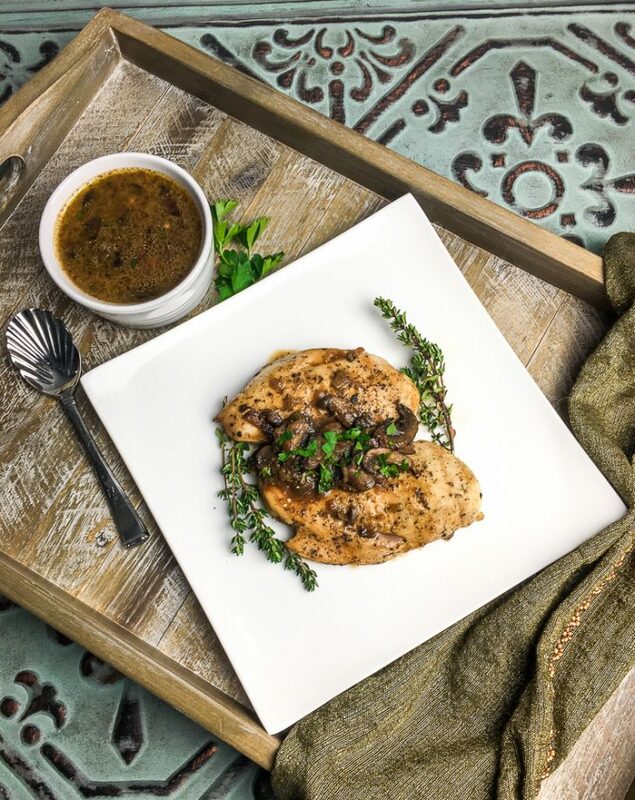 Return mushrooms and onions to Instant Pot® and add chicken broth, garlic powder, thyme, and rosemary. Stir to combine. Place the metal trivet that comes with the Instant Pot® into the cooking container. Place chicken breasts on top of the trivet and cover. Lock the lid and set the pressure valve to “Sealing.” Press the “Manual” button and adjust setting to “high.” Set cook time to 10 minutes. Add the goat cheese to the cooking liquid and stir to combine. Taste and adjust seasonings, as desired. 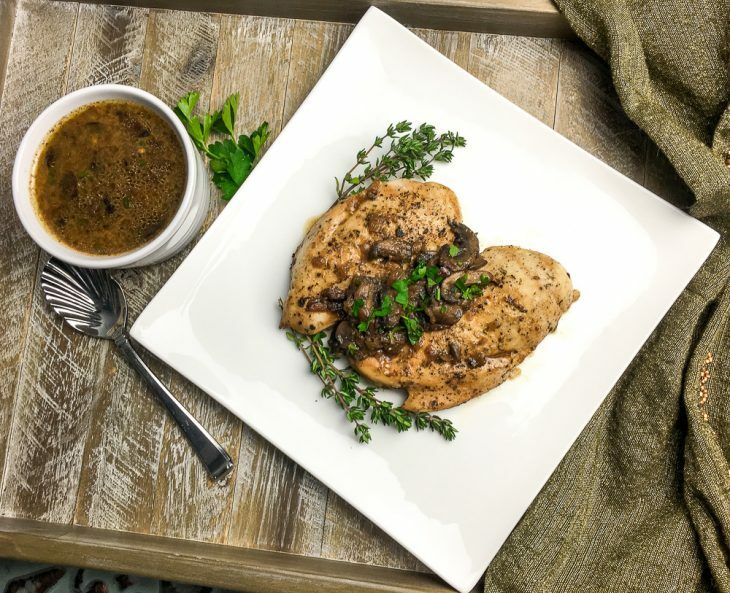 Serve immediately with some of the mushroom sauce spooned over each chicken breast. Enjoy!